Each one is a source of unique Vitamins and antioxidants. 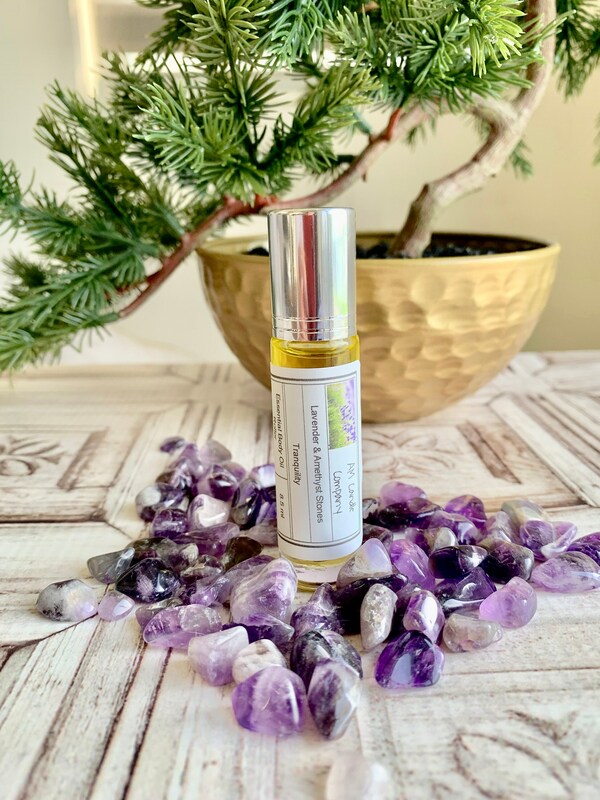 LAVENDER Oil is one of the most well known essential oils in aromatherapy, benefits include its ability to Reduce anxiety and stress, migraine and headache relief and improves sleep apnea. The Amethyst Stones help you to achieve a state of peace and serenity, making it the perfect compliment to this relaxing blend. Amethyst is also known for their healing properties to help with physical ailments and emotional issues. The roller ball bottle is a perfect size to carry in your pocket or purse. Apply topically to desired location as needed. Allow to dry before dressing. A small amount will go a long way. *** PLEASE NOTE: Possible skin sensitivity. If pregnant, nursing, taking medication, or have a medical condition, consult your physician before use.